One Vicodin or Five—Who Cares? Do we take so many pills these days that we don’t even notice what the labels say anymore? I barely pay attention to the labels myself, and I write about this sort of thing for a living. I fill a prescription, get a few quick words from a pharmacist, and off I go. What does “take one tablet twice a day” mean anyway? Do I break a tablet in half in order to take it in two doses, or is each dose a full tablet? And just when are those two times a day? Guess I’ll wing it. I don’t really blame patients for their poor practices. There’s only so much information a regular person can absorb. It’s hard to heed every part of those endless warnings–don’t take this on an empty stomach, don’t take it with oranges, don’t take it with dairy products, don’t take it in warm weather, don’t take it in Denver, and avoid scuba diving. It’s even harder when the warning is presented on a three-inch bottle with a strip of print so small it’s best saved for intra-KGB communication. And imagine how much worse it is if you’re old. 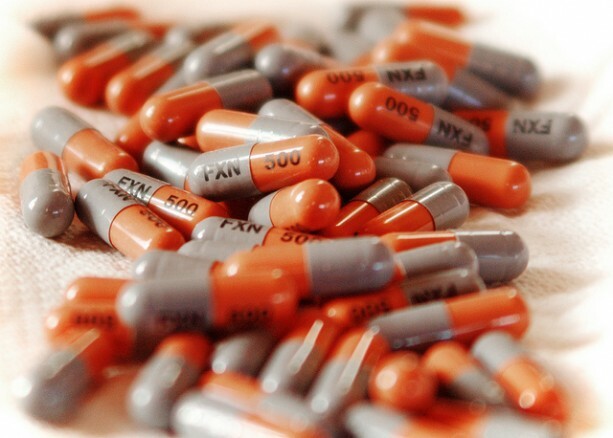 It’s no wonder that Americans make about 1.5 million preventable medication errors a year. That’s what the Institute of Medicine (IOM) revealed in an eye-opening report in 2006. Another IOM report estimates that 90 million Americans don’t fully understand or follow health instructions. And I suspect that’s an underestimation. Clearly, lots of us have no business handling medication–either for ourselves or anyone else. But people need pills. So what can we do about it? As is so often the case, legal fears underlie some of the impossibly elaborate labels. Pharmacies and drug companies prefer to overload patients with information to cover themselves in case of lawsuits. But that just makes the print smaller and the instructions more pointlessly detailed. That’s why some experts recommend that doctors give patients–or the relatives of patients–a single sheet of paper that spells out all a patient really needs to know–why the drug has been prescribed, what the drug does, how it works, how to take it and what are the repercussions if not taken as instructed. Paper instructions are best for certain patients, but others only pay attention to what they hear directly. So the third principle of making drug mistakes is to give patients a proper spoken explanation of how to take their medicines. Again, that might sound simple, but that doesn’t mean it’s something people do. Doctors often leave the business of pill instructions to pharmacists, but pharmacists have other responsibilities, like getting orders filled and keeping the line moving. After all, identify which of the following three experiences you’ve more commonly had: 1. Being annoyed that your pharmacist didn’t tell you enough about your medication. 2. Being annoyed your pharmacist told you too much. 3. Being annoyed that the line at the drug store took forever. I’m willing to bet on your answer. “Their own best advocates”–yes, indeed. In fact, that’s the fourth principle of improving habits of drug-taking: getting patients to care. It’s the simplest principle of all, but it’s also the hardest to achieve. Of course, if you’re reading this article, you’re probably the type of person who cares enough to take the initiative on getting it right. But that makes about one of you. In the real world, some players are now trying to put these principles into action, mainly by making drug labels more readable. For instance, in 2005, Target redesigned its bottles and labels to reduce errors. (It even uses a color-coding system so patients won’t mistake one medication for another.) Merck has, among other things, increased font size and added a 3-D picture of the medicine tablet. And in 2010 the U.S Pharmacopeia (USP), an official public standards-setting authority for all prescription and over-the-counter (OTC) medicines, set some recommended standards. These included using simpler language, making dosage more explicit, and improving general readability. These things are a start. But if all we fix are labels, then doctors get a pass, pharmacists get a pass, and patients get a pass. That won’t do, if we really want to fix the problem. What we prefer, of course, is to make this someone else’s headache. That’s human nature. And, speaking of headache, it might be time for a couple of Tylenols. Or just one? I can’t read those instructions. Guess I’ll wing it. Mari Edlin is a healthcare writer in California.